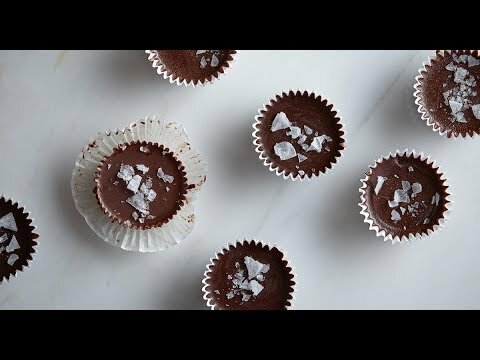 Coffee Jam Chocolates - GetCooking! Thrive Market’s – Coffee Jam Chocolates recipe. Coffee lovers, meet your new jam. These morsels melt in your mouth with a caffeinated filling that’s sweetened with honey, and the magical chocolate coating stays naturally firm thanks to a unique blend of melted coconut oil and ghee. If you’re serving these treats at your next party, be sure to stash a few for yourself because they’ll fly off the platter, and make them ahead for easy entertaining! Thrive Market is a revolutionary online marketplace on a mission to make healthy living easy and affordable for everyone. You can shop for thousands of the best-selling non-GMO foods and natural products, prices are already up to 50% off. We’d love to hear your feedback on this video recipe format in the comments section below! If you used this video to make Coffee Jam Chocolates, please tell us how it went! View the original recipe notes here: Thrive Market’s – Coffee Jam Chocolates.